For half a century, the iconic AAMCO franchise brand has been a dynamic part of American car culture. With nearly 700 auto repair locations across the country, AAMCO is the rare, time-tested legacy brand that remains both committed to innovation and trusted in the eyes of the American consumer. We are successful because the AAMCO corporate team is committed to creating value for AAMCO franchisees. Total Car Care with CEO Brett PontonThis commitment to our franchisees stems from the fact that several members of the AAMCO corporate team were franchisees themselves. Before joining us, AAMCO CEO and President Brett Ponton was CEO of Heartland Automotive, the largest Jiffy Lube franchisee in North America, operating nearly 575 units. Brett is also a veteran of the automotive industry, with nearly 20 years of senior management experience under his belt. 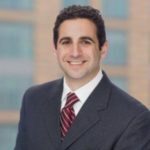 Brett brings extraordinary expertise in sales, marketing and strategic direction, along with a passion for customers — both in terms of understanding them and providing them with excellent service. In this interview, Brett offers his take on what makes a successful franchise system, the significant investments the corporate team makes to support AAMCO franchisees, and how the AAMCO corporate team collaborates with its network of franchisees. What makes for a successful franchise system and a successful franchise owner? Brett: It boils down to two fundamental financial metrics that any business needs to focus on. Number one: It is extremely important to have a business model that generates positive cash flow for a business. Number two: It is vital to create long-term enterprise value in a business, as well. I think what most owners of any business want to do is buy an asset today worth a value of X, and three to five years from now have that asset be worth a lot more than what they paid for it today. As it relates to franchising, I think there are a couple of major metrics that we look at as a business. Number one: What are the unit economics for franchisees operating in a business today? It starts there. To have a successful system, you have to have a business model that is financially viable and successful for the franchisees. Number two: It takes a very engaged owner and operator who is excited about the business. In the automotive aftermarket, which is our space, it is extremely important to have customer-focused owner operators who love to build teams, who are passionate about taking a great national brand and who make that national brand feel very local as they serve the communities around their stores. What does it take to provide the level of support that AAMCO franchisees expect? Brett: It’s pretty simple. We help create value for our franchisees, assisting them in improving their bottom-line results. We help them create long-term enterprise value in their business and in the investment they made in our brand by creating a team environment. We wrap ourselves around the franchisees — we’re talking about operational support, marketing support, administrative support, recruitment help — because our mission in life is pretty clear. We need to support the people on the front lines of our business: the auto repair franchise owners who are operating the business every day, who have the pleasure and the fortune of serving the millions of consumers AAMCO has the pleasure to take care of year in and year out. 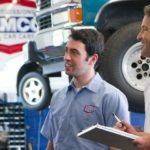 How does AAMCO win customer loyalty, earning “customers for life”? Brett: As a company and as a brand, the best way we can drive lifetime loyalty and repeat business is to deliver a great experience in the AAMCO stores across the country every day. We deliver the great experiences through the right programs and processes that we’ve developed and built upon in this great brand. We also need to ensure that we have the right owner operators and teams who are focused on delivering that great experience. If we do that, customers will reward us, not only with their business today, but their business for their lifetime. What is the benefit of the AAMCO brand name and reputation to franchise owners? Brett: I’ve had the opportunity to work for very strong American brands in my career. One of things that attracted me to AAMCO is that our brand is woven into the fabric of American car culture. It’s been a privilege and an honor to join such a great brand with such a great heritage. With running any business, certainly a consumer-facing business, it all starts with a brand. AAMCO enjoys national brand recognition. That is meaningful and tangible, and it really gives our franchisees a leg up on the competition in driving traffic to their centers. It’s up to us as the franchisor to come up with the right marketing programs and the right operational procedures to ensure that we deliver the great experience that those consumers expect. 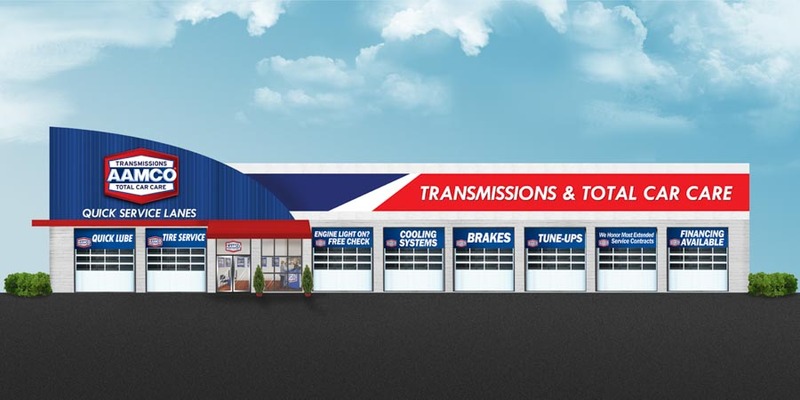 How does AAMCO leverage its stellar transmission repair status into the Total Car Care market? Brett: Since the inception of our brand, we’ve had the privilege to service more than 43 million transmissions. We are confident that our expertise in fixing the most complicated part of the consumer’s car — the transmission, which often has more than 800 parts — means our technicians are capable of doing brake jobs and preventive maintenance for consumers, as well. AAMCO recently opened a state-of-art- training facility in Newnan, Georgia, called AAMCO University. What benefit does AAMCO University provide? Brett: One of the motivations behind AAMCO University was to create a facility that people can aspire to go to and be part of and feel proud of the great brand they’ve decided to represent. It’s also important to create a career path for people that allows them to grow and develop. We wanted to create a model for our franchisees that creates a very strong employer value proposition between them and their employees. With the advent of AAMCO University, our franchisees can not only recruit the best employees on the market, but also retain and further develop their employees. The better trained your employees are, the better they will perform — and certainly, they will be much more loyal to the franchisee. What investments has AAMCO made on behalf of the franchisee network? Brett: One of our roles as the franchisor is to simplify the business model for our franchisees and their employees. We made a major investment in Global Powertrain Systems, which is part of the American Driveline Systems portfolio. GPS is a state-of-the-art facility, about 200,000 square feet, that re-manufactures transmissions. This gives our franchisees the opportunity to buy transmissions through a vertically integrated source with preferred pricing. 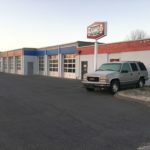 This allows our franchisees to focus on their stores, their consumers and growing their Total Car Care business, while it allows us to specialize in fixing the most technically challenging part of a car at a dedicated facility in Newnan, Georgia. As an ex-franchisee, I — and my team — am squarely focused on developing initiatives that are going to drive meaningful top-line and bottom-line growth to our franchisees’ businesses and create long-term sustainability. All the initiatives we have implemented since I’ve taken my current role have focused on creating value from a franchisee perspective. With nearly 700 centers across North America, AAMCO is actively seeking single and multi-unit operators who are passionate about our brand and committed to providing the highest-quality service. How does AAMCO ensure that franchisees have a voice in the organization? Brett: Collaboration with our franchisees is of paramount importance to our organization. We are very fortunate to have a very strong franchisee organization, the National AAMCO Dealers Association, within our business. The longest tenured member in the organization has been with AAMCO for over 40 years. We also have operators who are quite new within that organization. It’s a very diverse association, and they really give us great counsel. It’s allowed us to have a platform to collaborate in a very constructive and positive way. What investments is AAMCO making to help franchisees grow into multi-unit operators? Brett: I know how critical the in-store point of sale system is to any business, but it’s especially important in the automotive aftermarket. We’re pleased to announce, through a collaboration with our franchisee association, that we’ve made the decision to partner with a very large automotive aftermarket supplier to modernize our point of sale system. We are thrilled that we will be able to roll this out in the second half of 2016. The common theme here is that we try to make life easier for our franchisees to execute the consistent model that we’ve built. I recognize, having operated nearly 575 units at one time, how important it is to simplify the in-store experience in order to become a multi-unit operator. Our new point of sale system will simplify and standardize the business model for AAMCO franchisees. At AAMCO, we want to be an attractive model for investors and owner operators who have a desire to grow beyond owning one or two units. My experience as a multi-unit owner and the experience of my team has allowed us to create a very scalable business model. For in-depth details about the AAMCO franchise opportunity, download our free franchise report. You can also learn more by visiting our research pages.